• X axis is equipped with diameter 63 mm precision ball screw grade: C3. 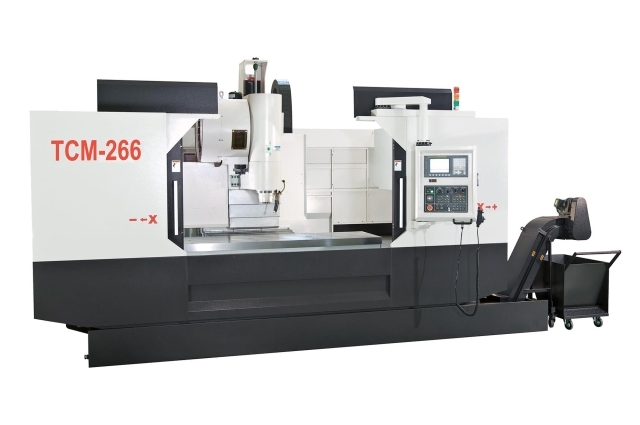 • Y & Z axis are with high-speed precision and low noise ball screw dia. 40 mm grade: C3. • X, Y & Z axis are with linear roller rail. 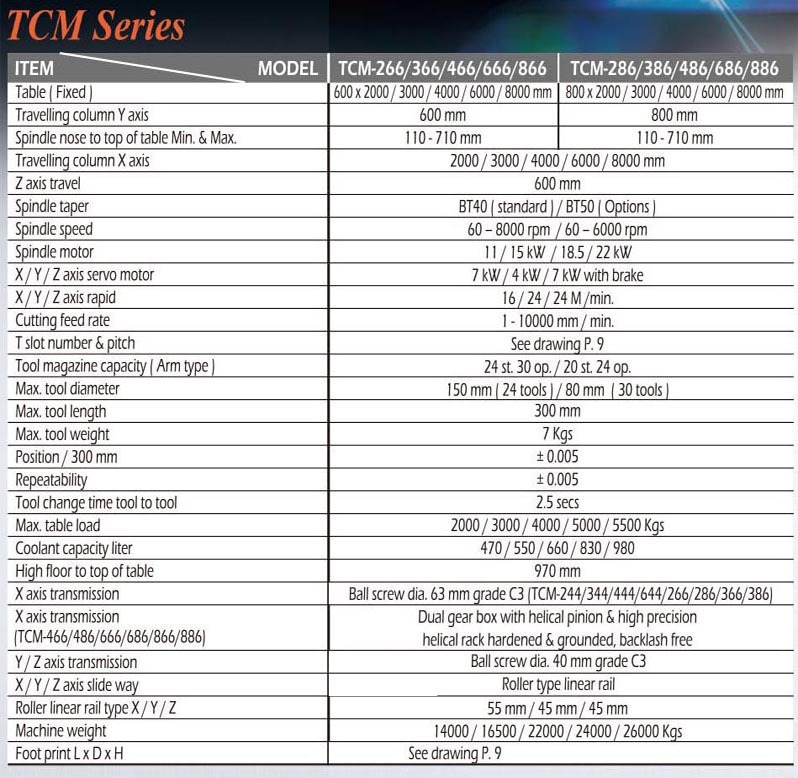 • TCM-266/286/366/386 provide rigidity machining to make longer bars such as aluminum, aerospace components, etc. • TCM-266/286/366/386 allow strong fixed table (2m, 3m) to be mounted together with the base.